The displacement of Asotracampo Tamarindo is currently underway. Riot police, bulldozers, and a group of civilans armed with machetes have started demolishing the homes of local families; the vast majority displaced from other regions by Colombia’s armed conflict. These families have nowhere to go and their human rights and dignity as individuals and as a community of subsistance farmers are being violated. 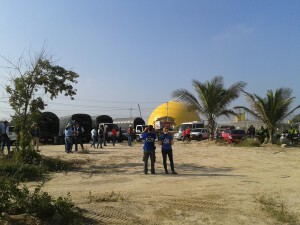 This photo is of our team observing as city officials and the riot police arrived this morning. 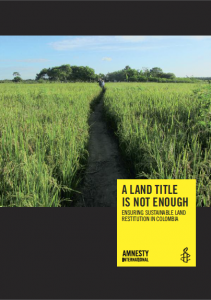 Amnesty International released a report entitled “Colombia: A Land Title is Not Enough: Ensuring Sustainable Land Restitution in Colombia,” highlighting the community of Tamarindo, where FOR Peace Presence accompanies. Access to land is one of the root causes for the 50+ years of armed internal conflict in Colombia. 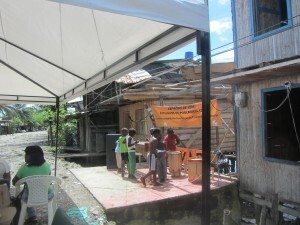 Between 6 and 8 million people have been internally displaced in this time. 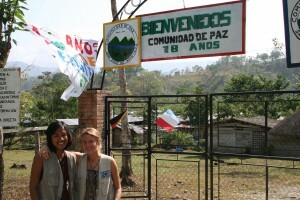 Colombian and international large-scale mining, infrastructure and agroindustrial projects have greatly benefitted from the removal of Colombian communities from strategic areas by forced displacement, while the displaced populations have been exposed to a multitude of abuses and violations of their basic rights. Those most adversely affected are communities who have traditionally lived off the land, or namely afro-descendant, indigenous and small-scale farming communities. In 2012 the Victims and Land Restitution Law, Law 1448, came into force. 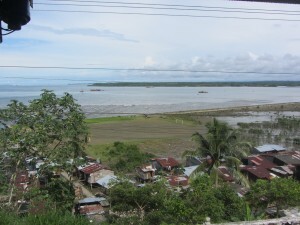 It has been the latest attempt not only for land restitution and nationwide clarification of land titles, but to offer more general reparations to the victims of the armed conflict. The right to reparation for harm suffered lies at the core of international human rights law – this implies adequate, effective and prompt reparation, including land restitution. The report analyzes if these sorts of reparations have been achieved through Law 1448.